Insette Summer Roses Air Freshener Room Fragrance brings natures fragrance to your home or workplace. Gently fragrances your room with a delicate perfume. 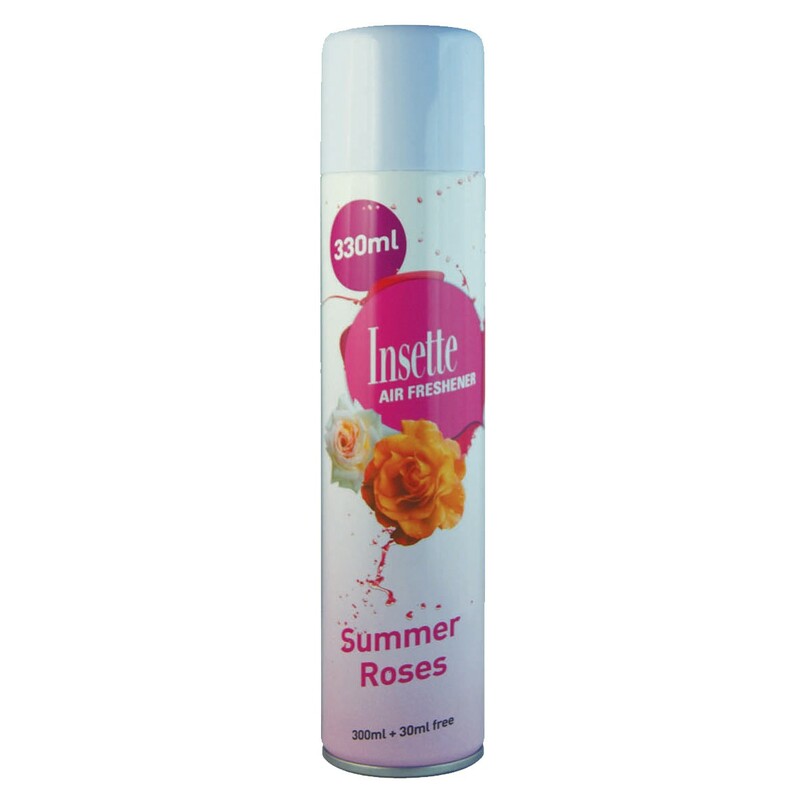 Insette room fragrance provides a low cost option to removing bad odours or lingering smells, quickly and efficiently. Wide variety of fragrances available from stock. Full pack size - 12 x 350ml cans. Shake can well. Point can upwards and towards the centre of the room and spray. Do not spray directly onto fabrics.